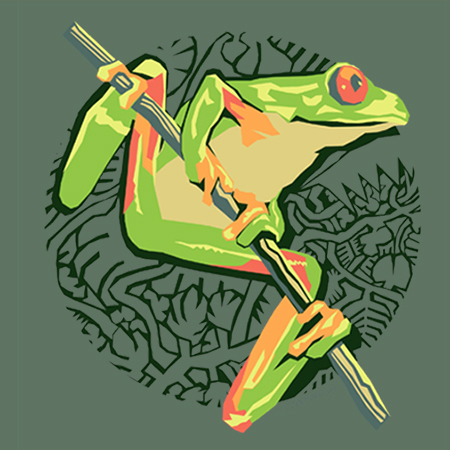 Tree Frog T-Shirt – Jim Morris Environmental T-Shirt Co. This tree frog t-shirt shows a brightly colored tropical tree frog. Many frogs are threatened by the chytrid fungus and pesticides. Also rainforests are cut down for wood, to graze cattle, to plant palm oil, and to plant soybeans. Parts of South America are suffering from droughts due to over logging and global warming.